Many people will tell you that their childhood was magical. The sights, the sounds, the smells of the place we grow up become part of our personal mythology, a place we tend to think of as the norm. It can be a place in mind to retreat in times of stress or unhappiness, a place of peace, or a place to begin long-winded stories about the past, boring children and grandchildren, over and over again. “It was better in my day”, they start. If you have a somewhat open mind and a willingness to listen to your elders’ stories, you will glimpse an earlier, simpler, if perhaps somewhat sanitized tale of life in the glorious past. My magical place was the Edina of the 1960’s. 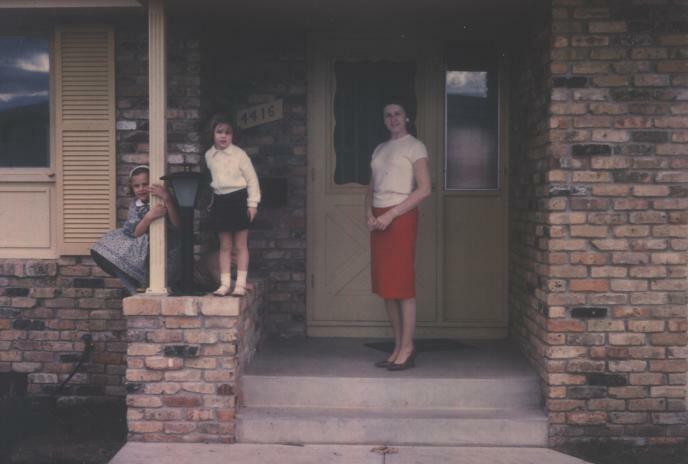 Our entire neighborhood was filled with single family homes, with stay-at-home moms who made our lunches, helped us with our homework and tucked us into bed at night. Kids played in the neighborhood, even after dark, and nothing bad ever happened. On Halloween, kids roamed the streets without fear of harm. Almost all the families put out a carved jack-o-lantern on their front steps and had a mom or dad at the front door handing out candy to the countless trick-or-treaters. The Christmas holidays were happy times with homes outlined by colorful lights, snowmen in the front yards, and sleds waiting to be taken to Indian Hill, behind Cornelia Elementary. Father Knows Best? Leave It To Beaver? Maybe, but most of us did lead happy, secure lives. Dad went to work, mom was home during the day to benignly supervise our activities and to come to the rescue when things got a little out of hand. There was that “wait until your father gets home” attitude that kept us in line, at least towards the end of the day when our exhausted fathers would return home from a long day at work. No one wanted to face the wrath of the breadwinner. Some of the childhood magic came from the times of the year. Imagine this: It’s a hot summer day, blue skied with high fluffy white clouds. Kids ride bikes up and down our quiet street. A screen door slams, a neighbor boy calls “Mom!” as he heads for the kitchen and his afternoon Hostess cupcake. My sister Amy and I are playing jacks on our front sidewalk, while our little brother Bobby watches. Today is a perfect pool day. In an hour we will leave for the Edina Pool; we have just finished our lunch of peanut butter sandwiches, eaten while watching “Lunch With Casey” with its cartoons and silly skits. The Edina Public Library was my favorite place. One summer, my sister and I enrolled in a reading contest. You got something, a bookmark, perhaps when you read a certain number of books. As a ten year old, I zoomed through the required number, got my bookmark and kept reading. Amy was three years younger and couldn’t keep up with my reading habits. She was like the car rental company Avis, who tried harder because it was Number Two, probably a contributing factor to her unfailingly trying her best no matter what. The library building was an old two story house on 50th Street, at the intersection of 50th and France. It smelled of old books and polished wood floors, and something else that to me is just “library smell”. It was a comforting aroma. The children’s room was near the front door, the grownups’ books somewhere towards the back. We’d browse for a while and leave with a stack of books, picture books for the little kids and novels for me. We lived in a newer part of Edina, on land that had been recently turned from farmland and open fields into housing. Most of our houses were built in the early to mid-60’s. Some lots were still undeveloped when we moved in. Today, every lot has long since been built up; some of the original houses have either been demolished and rebuilt or enlarged to the point that they are unrecognizable to me when I drive through the old neighborhood. Mere saplings that graced our front yards in those days are now full-fledged, large-trunked trees. It’s a settled neighborhood now, but with the same feel to it. In the 1960s, long before it was a park, Arneson Acres was a field filled with black eyed susan and milkweed plants. There were little pathways, probably carved out by many children’s feet, but I imagined them to have been there from the time the land was inhabited by Native Americans. There was another “wild place”: the sand pits. The sand pits had big piles of sand, cement mixers and I think a cement mixing building. There was one hill that stood behind a row of houses on Oaklawn Drive that held three mature elm trees. My best friend Ann and I took it for ours. At least, when we were there, no one else was. We were forbidden to go to the sand pits, but that didn’t stop us from visiting “our” hill. Another undeveloped place sat behind a row of several houses. This land had a small stream that ran in the spring. That’s what I called it. It was more likely a low point that collected water when the snow melted, or it rained. There were old, tall trees, the kind that rare in that time, in this part of the city. Behind that and along another fascinating small body of water, there was a meadow filled with milkweeds and black eyed susan plants. Along this small oblong pond Ann and I found a couple of small seedlings that we somehow adopted as our own. We talked to them and named them — remember, we were about 10 years old — and were later dismayed when we came back to one wilted, the other gone. The suburban wild places fueled our imaginations, giving some vague indications of what life was like before settlement. They were places where adults did not follow. You could ride your bike on the trails in Arneson Acres, or find a little hollow to sit, watch the clouds and dream. The “Little House “ books by Laura Ingalls Wilder were popular among the fourth grade girls. The prairie in our neighborhood could have been Laura’s prairie, or so our young minds thought. Somehow I didn’t hear the cars or see the rows of split levels and ramblers that lay at the edge of the acreage. Instead, I saw covered wagons and tepees and maybe a buffalo or two. All good things come to an end. 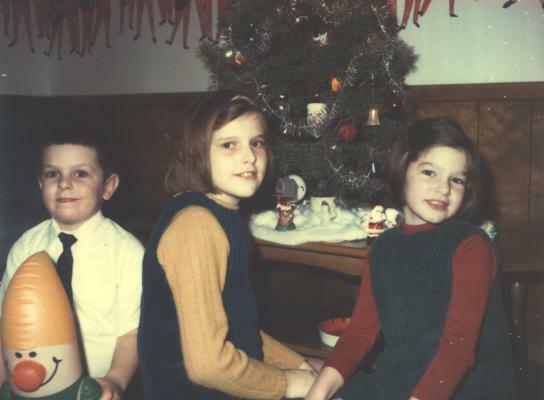 My family moved from Edina 1971, when I was turning fifteen. Perhaps physically leaving my childhood environment mirrored my increasing chronological distance from childhood. We moved on, and at the time I didn’t miss, or even think very much of what was left behind. There was so much life to be lived! It was only years later that the magic and the charm of that time and place seeped into my heart and soul. It was a good place, and it’s a good place still. I left the city of Edina, but the magical parts of my Edina childhood have never left me. Stop whining about your life. Change it!